Nightmare in Athens, by Petros Markaris, is the first crime novel I've run across that's set in modern Greece. 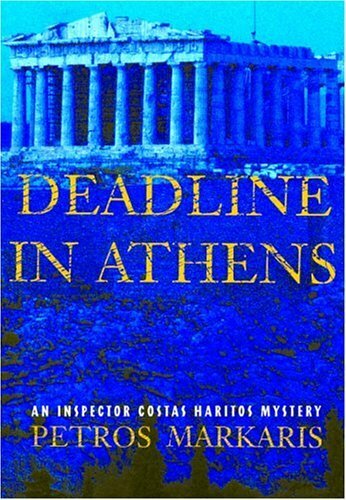 Markaris's main character is Costas Haritas, a detective in the Athens police, and the novel sticks to his first-person narration. At first, the novel has something in common with Donna Leon's books--Haritas has a nincompoop boss, whose attractive secretary helps out Haritas, and the detective's home life is a big part of the book. But unlike Leon's detective, Haritas and his wife tolerate one another at best, and their only child is away in medical school. And though the story starts out toward a Leon-like dissection of the injustices of a judicial system that is tilted toward the wealthy and influential, Markaris's tale veers into his own territory with a plot that becomes increasingly complicated as each likely suspect is set aside in favor of another, and as the original crime is set aside in favor of subsequent murders. the tale expands in this fashion until it ultimately comes back around to the story's beginning, and if the complicated passages (and some of the names that are a bit too much alike to an American ear) bog the reader down, there is a payoff in staying with it for the resolution of all the threads (if not a judicial resolution). Like some other books I've reviewed recently, this one is not a "least likely suspect" story (and yet it is). There's no thread of clues, opposed by red herrings, that will lead a reader to discover the truth before the detective does, and yet many of you may figure out who the final "reveal" will reveal as the murderer. 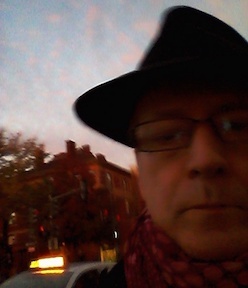 But it's the slow investigation, the complexities of Greek history and social life, and the personalities of detectives, victims, and suspects that carry the novel forward, and what begins as a more straightforward mystery ends in the territory of noir, with dark overtones coming from all directions (albeit a few melodramatic overtones as well).